We often receive questions regarding knotting techniques and we gladly share our favorite paracord knotting techniques and patterns with you. Every week we post new instruction videos, PDF downloads or paracord ideas on our Facebook page Paracord Tips & Tricks. 5 Paracord Knotting Sites You Don't Want to Miss! We have selected our favourite Paracord knotting sites for your paracord projects. Do you have more suggestions? Let us know! 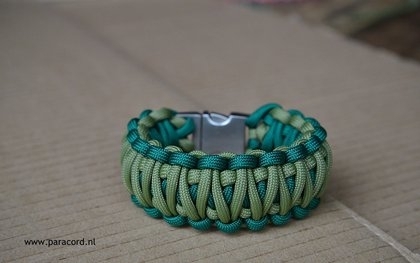 Meer Tips & Tricks op onze Paracord Tips & Tricks Facebook pagina!